DELIVERING UNIT4 BUSINESS SOLUTIONS TO YOU!  Arbofield provides industry-specific consulting, support and development services. Arbofield is Unit4’s strategic partner in delivering world-class solutions across multiple industry verticals. Unit4 is a leading provider of enterprise applications empowering people in service organizations. With annual revenue, north of 500M Euro and more than 4200 employees worldwide, Unit4 delivers ERP, industry-focused and best-in-class applications. Be efficient and profitable – in every project. Unit4 has worked closely with thousands of project-intensive professional services firms around the world that strive to succeed, while managing business change. Position your organization to do more with less to ensure value for money, without compromise. Unit4 provides solutions to more than 1,500 public services customers worldwide, enabling them to do more with less while benefiting from flexible, scalable enterprise software that provides the best value anywhere. Power academic and research success. Unit4 now provides solutions to over 400 education and research institutions around the world, working closely with them to develop truly agile, people-centric administration solutions focused around staff, researchers and students. Focus on what really matters. Unit4 provides solutions to hundreds of charities, NGOs and Not for Profit organizations around the world that need enterprise applications that significantly reduce the cost of governance, management and administration. Put their purpose and people at the heart of the system. Keep their supporters up to date. View their financial health at any time. Optimize your trading processes. We have helped over 400 wholesale businesses transform themselves from being merely providers of back office processing and retrospective reporting to becoming high profile organizations that deliver significant strategic advantage. Easily respond to trade challenges. Control the whole supply chain. Optimize your property portfolio management. Unit4 is currently one of the leading providers of property management and administration enterprise applications, working with over 125 of the biggest and most well-known real estate companies. Keep in control of their portfolios. What we do: With Unit4 you can manage your entire services operation in a single, integrated, cloud ERP suite. Our solutions are designed around the people who use them, so they’re quick to roll out, a joy to work with, fast to deliver real benefits and easy to change. Why we’re different: Traditional ERP solutions are too hard to use and need recoding by specialists when changes are needed after implementation. Our ERP solutions are designed from the ground up to help users easily adapt the system themselves, to reflect ongoing business or operational changes. So you’ll always be agile. What we do: Unit4 puts your finance team at the heart of the organization – in control, with full visibility. Our solutions enable you to streamline and automate finance processes, embed best-practice operation and improve business visibility, compliance and corporate governance for even the largest, most complex or fast-changing enterprises. Why we’re different: Traditional finance systems are difficult to set up, hard to use and require expert assistance whenever something in the organization changes. Our solutions are light, flexible and agile – easy to mold precisely to your organization and keep in step through ongoing change, to deliver the precise data and insights you need. What we do: Unit4’s suite of total people management solutions provide smart facilities for employees and end-to-end support for HR teams. They are designed to help you perform this essential function more efficiently and effectively, with unrivaled agility to handle fast-changing organizational demands, evolving corporate structures or new legislation. Why we’re different: Traditional, separate, insular HR systems often require expert assistance and duplicated manual work whenever something in the organization changes. Our integrated suite of solutions are easy to keep in step with your organization and employee updates are made in just one place. This frees up resources to help your team analyze, reflect and deliver ongoing change.